This entry was posted in Community Service Education Information and Communication Technologies Urban digital divide on January 29, 2019 by Anna Bon. The Digital Divide is not just a North-South divide in the world. Digital exclusion is all around us. We don’t need to travel far. To tackle this problem, in 2019 the W4RA program has started exploration of the Digital Gap in Amsterdam. This project fits into the Community Service Learning program of VU. The student project was kick-started by five master students Information Science at VU. Over the past 10 years the W4RA team has visited rural regions of West Africa, talked to farmers and local radio stations and tried to understand the local needs in terms of information and communication, looking for small-scale innovations and co-designing and deploying practical solutions that can be embedded in the local ecosystems and fit the local context. The team has developed a considerable knowledge-base and on-the-ground experience how to develop ICT service in low resource environments, to connect the unconnected and bridge the Digital Divide. However, in our own city we are still unfamiliar with the problem. We have to start exploring, which means: getting our of our confortable bubbles and going to the street to meet the unconnected. And who are these unconnected? What are their problems and how can we make ICTs that be of service to them, without bothering them or stealing their data and digital identities. Marc, Bandro, Wouter, Derek visited the Digi Challenge #2, organized by PACT Amsterdam, to get to know the actual problem. Bandro and Marc met homeless people at the Waterlooplein in Amsterdam and served them a diner, at Sant’Egidio, an organization that supports the poor in the city of Amsterdam by providing them free diner and serving soup on the street. 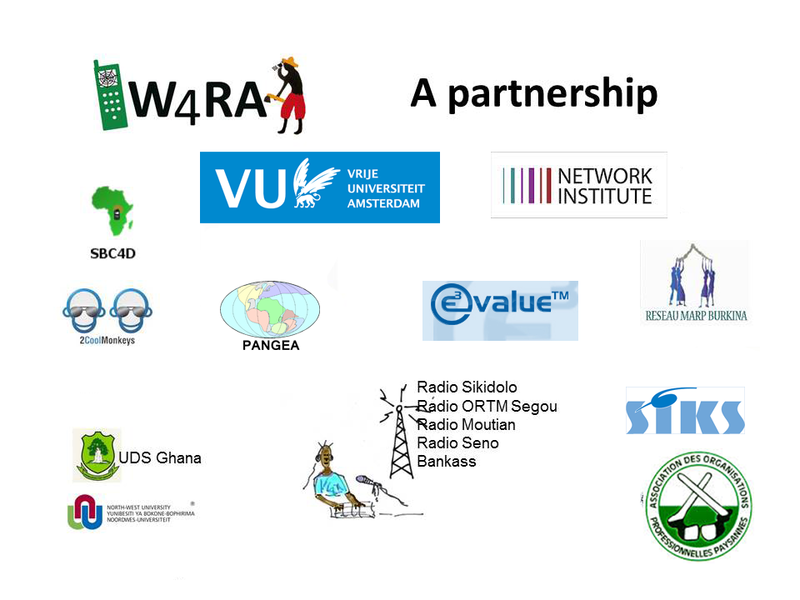 Similar to other ICT4D projects in the W4RA programme, this project starts with a general context analysis, to identify the stakeholders and reveal their problems and goals. User needs for different target groups are analyzed. In terms of information the use cases and requirements are analysed, as to design, co-create, build and test innovative solutions collaboratively. All is done iteratively, because you don’t get it right in one cycle. And it has to be adaptively, because the context is often unfamiliar and not all can be anticipated. Following this approach we hope we can contribute to understanding and improving some aspect of poor people’s livelihoods in Amsterdam.